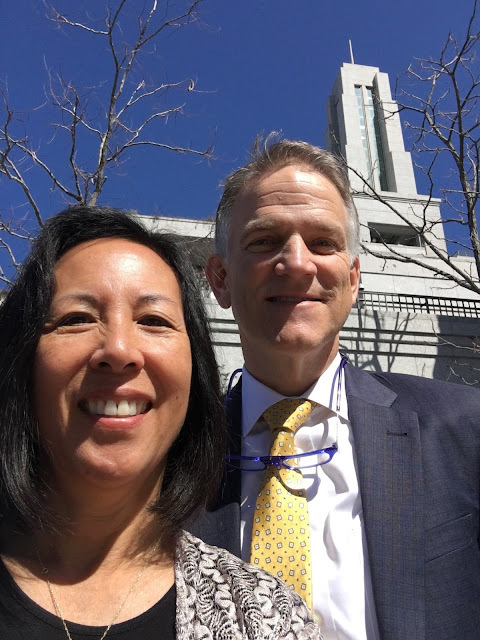 Taiwan Taichung Mission, 2013-16: A Glorious General Conference! What a glorious General Conference, to sustain our new prophet, President Russell M. Nelson, our new First Presidency and Quorum of Twelve Apostles, including newly called Elders Gong and Soares!!! What a privilege to participate in the worldwide solemn assembly! One of our missionaries was SO THOUGHTFUL to offer us a couple of tickets to the Sunday morning session of General Conference! We are so grateful to him! Met the bishop of Wufeng and these Taiwanese saints Outside the conference Center! Ran into President and Sister Barrett, who presided over the India Bangalore Mission while we were in Taichung. We enjoyed serving with them together in the Asia Area. 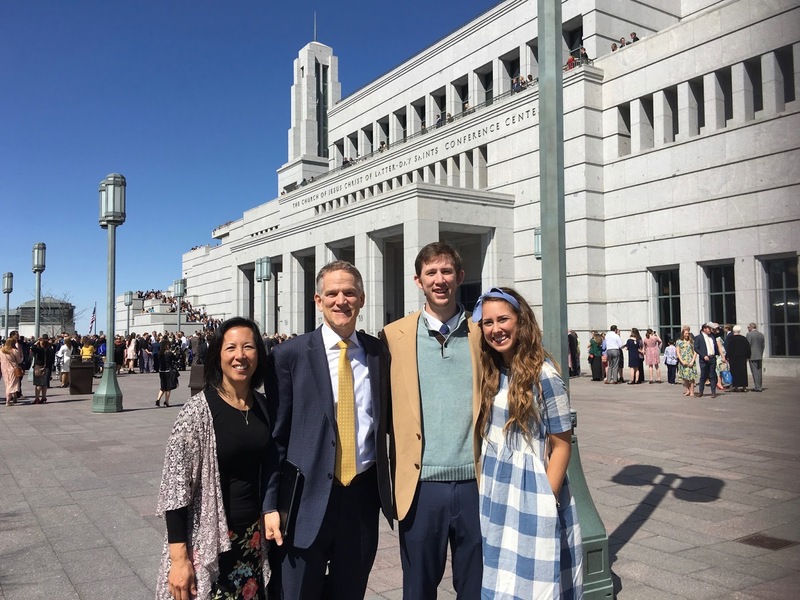 They must be SO excited to hear the announcement of the new temple in India! I'm sure all of you were so excited to hear of Elder Gong's call to serve as a member of the Quorum of Twelve Apostles! Only minutes after the announcement, my mother, Sister Chao, texted me, "I told you China is going to open up!" She is hoping to see the work of salvation go forth to her homeland during her lifetime! During the conference, the parents of Elder Gong's niece, who served with us in Taichung, came and greeted us! 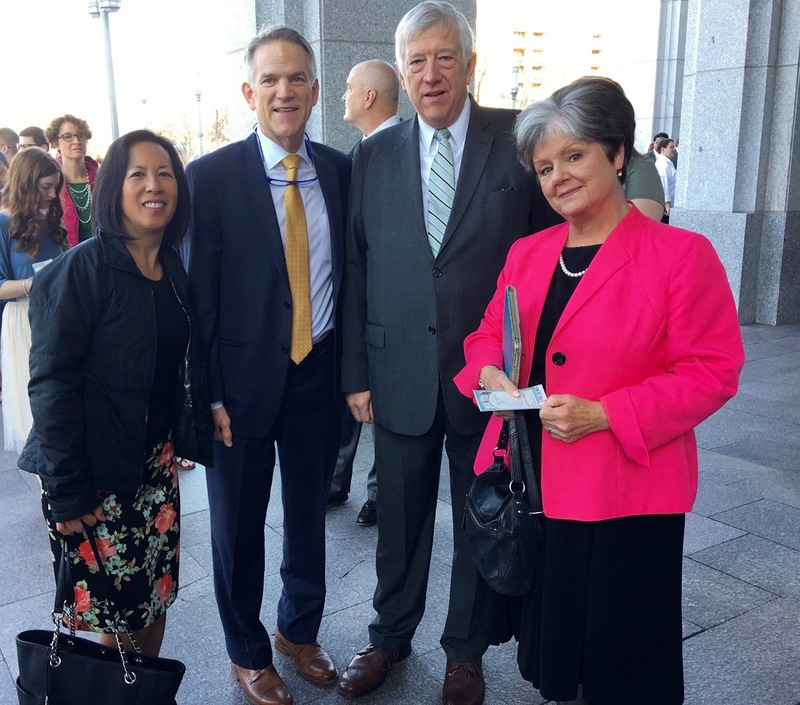 We were blessed to meet both Elder Gong and Elder Soares after the conference. Elder Soares had set me apart as mission president's wife almost five years ago! 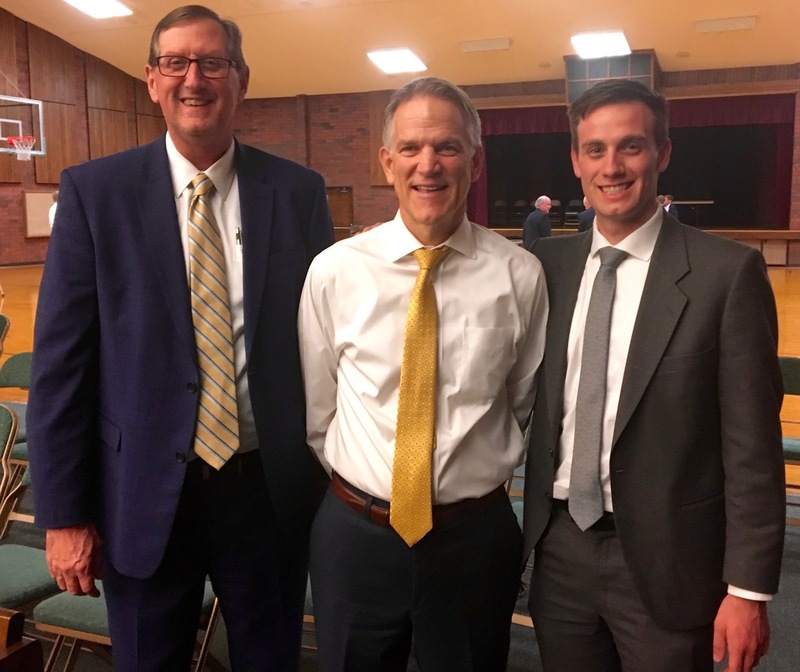 What a wonderful talk by Elder Brian K. Taylor. Every soul on the earth needs to understand they are a divine child of God! 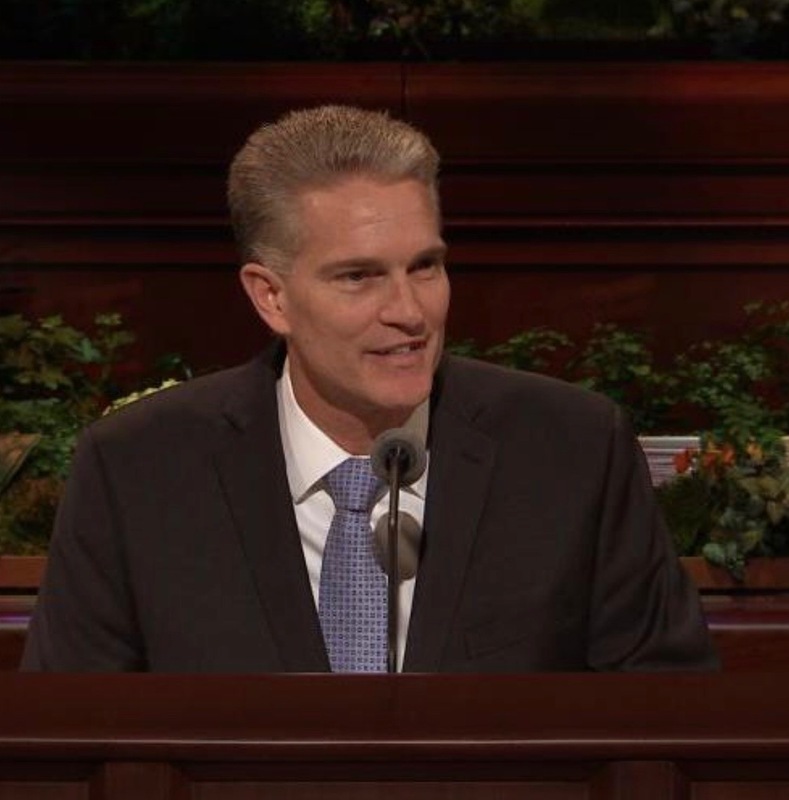 During his talk, I kept thinking how much Elder Taylor looked like my husband, only perhaps about a decade younger. 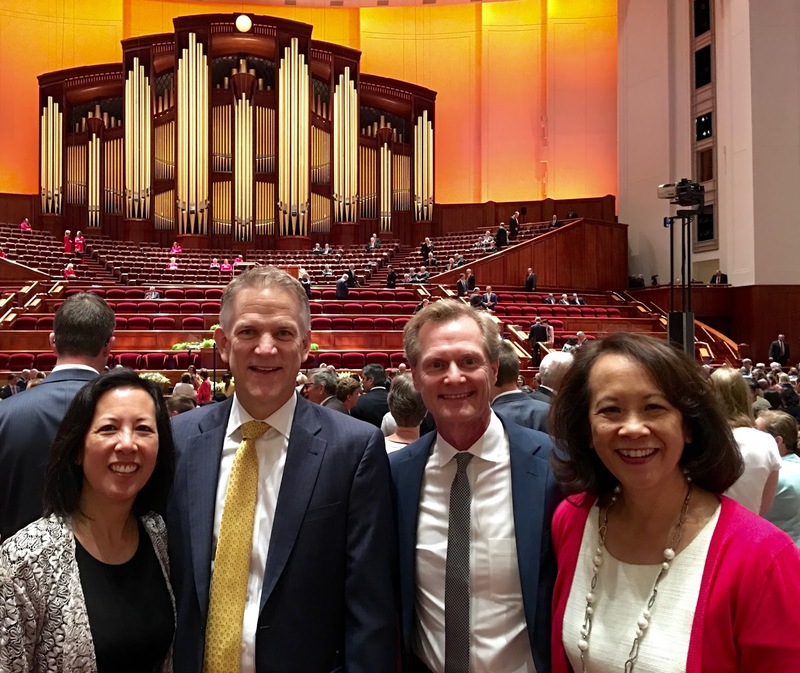 So so funny, while we were exiting the conference center, a kind brother came up to President and said, "I really enjoyed your talk yesterday!" President told the brother it wasn't him that spoke, to which the brother replied, "Yes you did!" We had to explain there was just a close resemblance, hahaha! 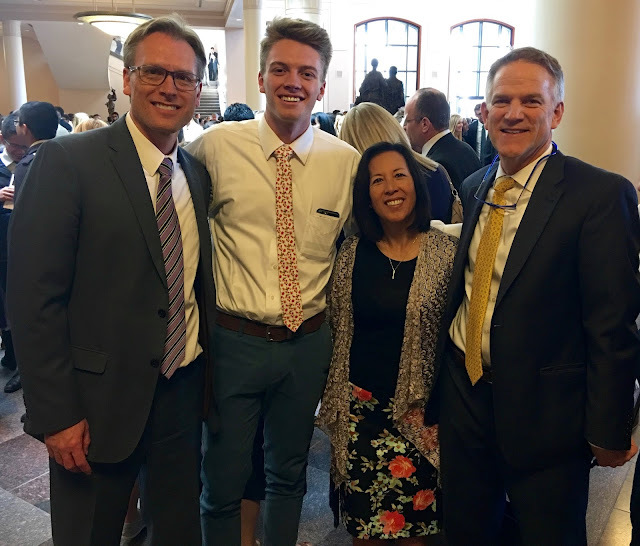 Love to run into our missionaries! And during priesthood session Saturday night! 4-18-18 Got a Layover at LAX? Come Visit Us! 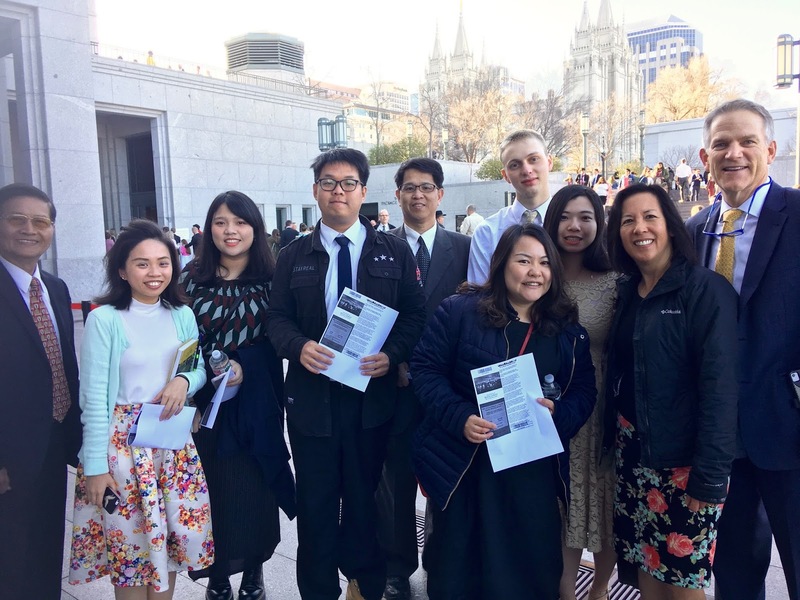 3-30-18 Taichung Mission Reunion Time!